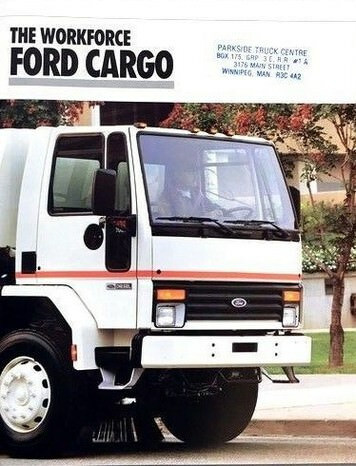 On Wikipedia they mention "Volvo WhiteGMC" as make, but we could indeed use "WhiteGMC" rather than "White/GMC". White/GMC → WhiteGMC: just forgotten, or eventually irrelevant? So it was just a car to change from 79 to 75? Not so much a "huge mistake"
Thanks, but it's also a "WB" Civic Wagon. Shouldn't we use that way of writing too? This one needs a hyphen between the "F" and the "1." 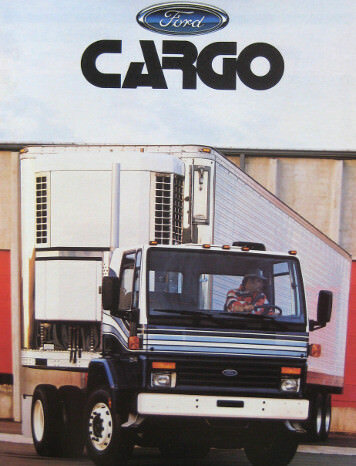 That Toyota pickup was made between 1979 and 1982. Only 2 cars were concerned, so I corrected them: the Porsche 718 (2016+ 718 Boxster / 2017+ 718 Cayman), even if mainly facelifted versions of the former 981 models, have the 982 factory code. Lot of websites and several Wikipedia pages already identify them that way (en, de, it, sv...) and, above all, Porsche's corporate site does it so too (de, fr). 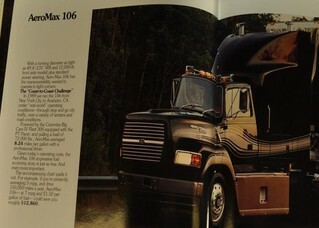 Does everyone here see this recently added alleged Mack B-Series truck? 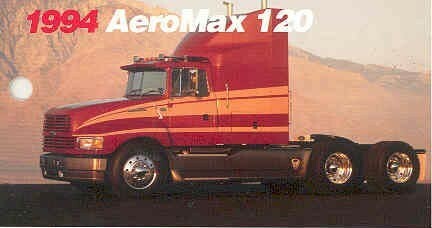 Not only is it not a B-Series, it's not even a Mack. • Except for 2 of them(1), all are identified as CF-7000 in the IMCDb. But the single rear axle models were apparently promoted and sold as Cargo CF-Something in North America (CF-6000, CF-7000 and CF-8000), while the 1988+ tandem version were of course called Cargo CFT-Something(2). 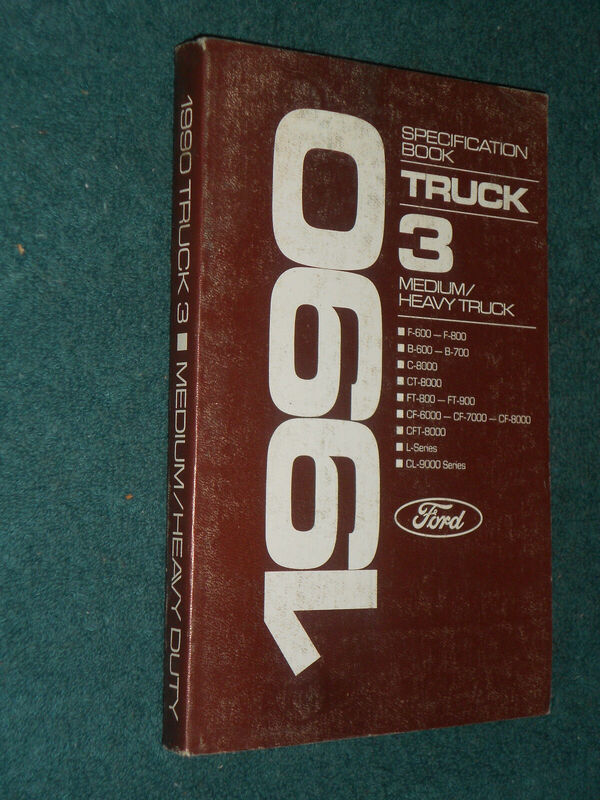 2: for now all documents I found (the 1988 brochure, the -already linked- 1988 Specification Book, the 1989 Ford Cargo brochure, the 1990 Spec Book, plus the 1992 and 1995 spec sheets) mention Cargo CFT-8000 models only, without lighter versions. 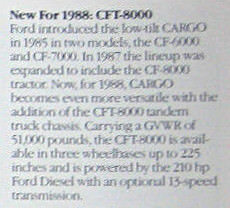 Is this enough to say that a tandem CF-Series can't be anything else than a CFT-8000? 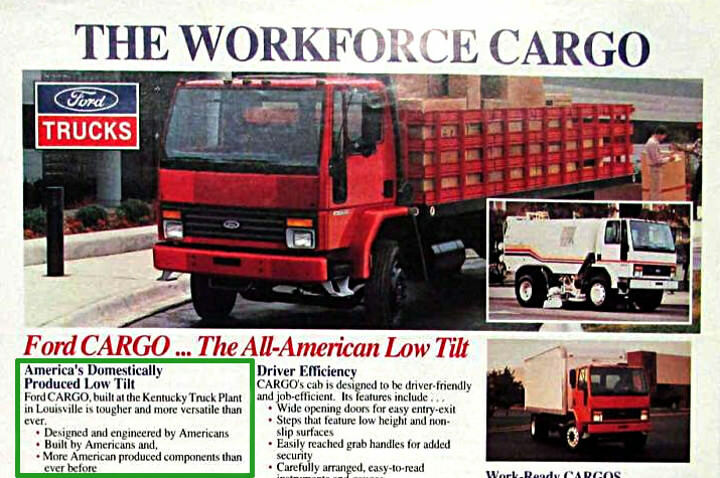 3: "America's Domestically Produced Low Tilt - Ford Cargo, build at the Kentucky Truck plant..." is written on both the 1992 and 1995 spec sheets. 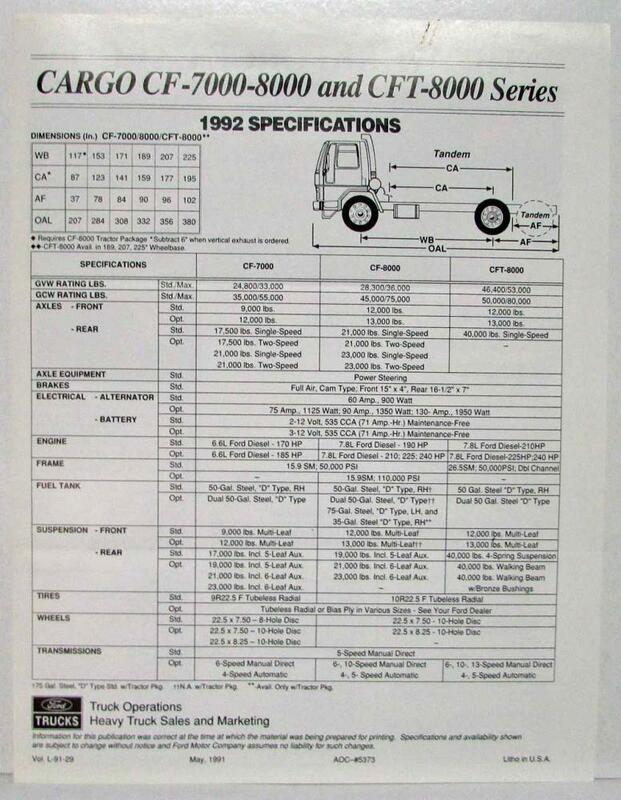 So I rename all CF-7000 to CF-Series?